She writes 'As we cast our minds back to the earliest days of art-making, to mankind's remotest past as people and as creators, we encounter those immortal acts that perpetuate memory, acts which occurred before the mastery of form and color.... To engrave, to make a mark on matter, is thus to inscribe memory.... From simple gestures to the most innovative technologies, the print always resonates with visceral perception, with the vital rhythms of primordial gestures seen today as gestures of art, intimately bound up with the instinctive, living perception possessed in common by humans and animals, in search of memory. 248. 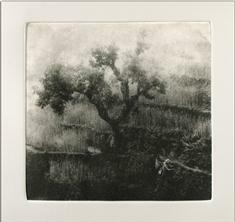 Morning Glory, 15 x 14 cm (6 x 6" ) photogravure etching, Black etching ink on Fabriano Tiepolo paper (2008), Arughat, Nepal. 273. Catch of the Day. 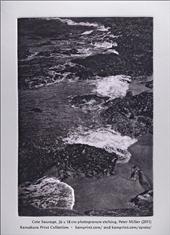 26 x 17 cm (10 x 7" ) photogravure etching, Carbon black etching ink on Rives BFK paper (2011) Guérand, Bretagne, France. 285. 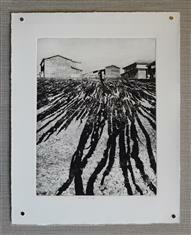 Broth of Life , 20 x 26 cm (8 x 10" ) photogravure etching, Warm black etching ink on Kyokushi (2012) kombu (kelp) harvest at Erimo, Hokkaido, Japan. 278. 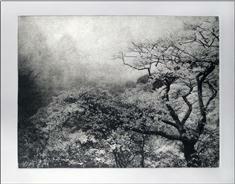 Second Spring 35 x 26 cm (14 x 10" ) photogravure etching, Black etching ink on Fabriano Tiepolo (2011) cherry blossoms at Yoshino-san, Japan. 245. 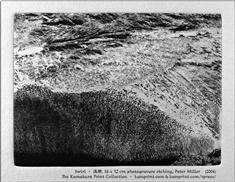 Bramble 7 13 x 18 cm (5 x 7" ) photogravure etching, Carbon black etching ink on Fabriano Tiepolo paper (2008), Japan. 230. Pentagram 26 x 20 cm photogravure etching, Cool Black etching ink on Fabriano Tiepolo (2006), Norway. 258. Vanished Stars. 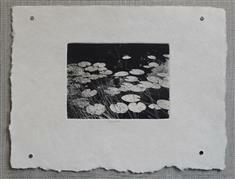 18 x 13 cm (7 x 5" ) photogravure etching, Carbon black etching ink on Fabriano Tiepolo paper (2009), lotus blossoms, Norway. 272. 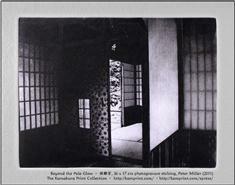 Beyond the Pale Glow 22 x 17 cm (9 x 7" ) photogravure etching, Carbon black etching ink on Fabriano Tiepolo paper (2011), Katsura Rikyu Imperial Villa, Kyoto. 196. 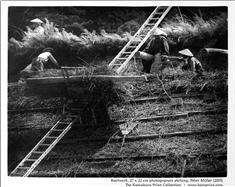 Roofwork, 27 x 22 cm (11 x 9" ) photogravure etching, Warm black etching ink on Lana Gravure paper (2005) the thatchers' art in Shirakawa Village, Gifu Prefecture, Japan. 236. Grainwaves. 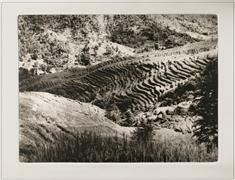 20 x 26 cm (8 x 10" ) photogravure etching, Warm black etching ink on Fabriano Tiepolo paper (2007) a cascade of terraced fields, Nepal. 254. 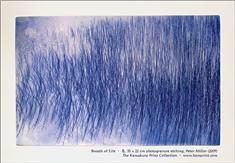 Breath of Life, 35 x 22 cm (14 x 9" ) photogravure etching, Orient Blue etching ink on Fabriano Tiepolo paper (2009) wind in reeds, Norway. 282. 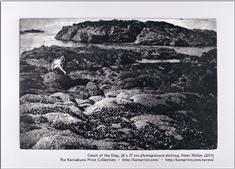 Cote Sauvage, 18 x 26 cm (7 x 10" ) photogravure etching, Payne's Gray and Carbon Black etching inks on Fabriano Tiepolo paper, Bretagne, France. 265. 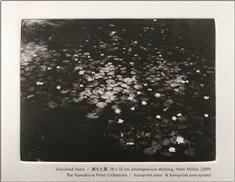 Bygones, 16 x 12 cm (6 x 5" ) photogravure etching, Carbon black etching ink on Fabriano Tiepolo paper (2009); lotus leaves, Finland. 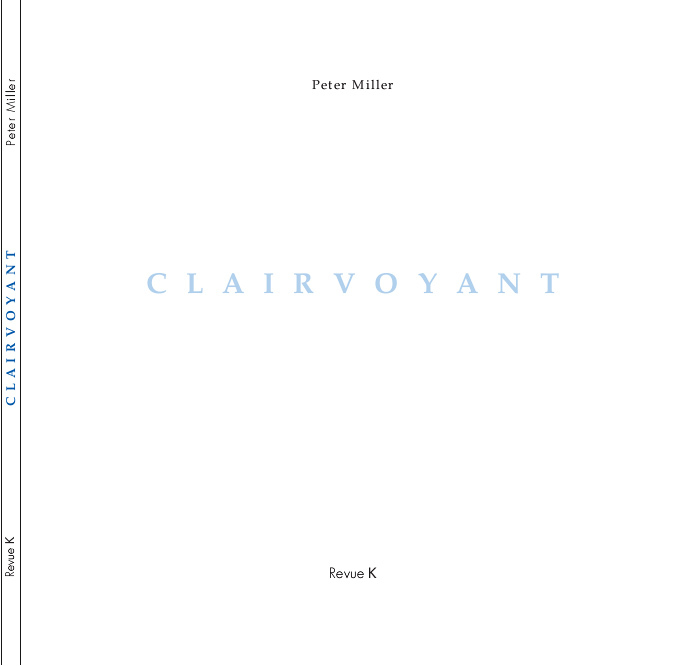 To order Clairvoyant for $16, or 1,800 Yen, or 15 Euros, including postage, please click the Order button below. Or please send a message to the address below, indicating how many you would like and the address to send them to. For gift orders, please write the ship-to address and any note you would like to include. 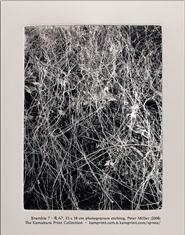 Dappled Things, published in 2013, pairs the poetry of Robin Chapman with the photogravures of Peter Miller -- 23 of each. For more information, and to purchase the book, please visit the Dappled Things page. Both books together may be purchased for a special price. Click here to view price and start order; order and payment are completed only after confirmation at Checkout. 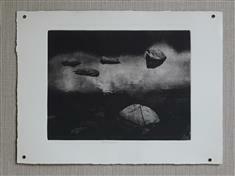 To order the Clairvoyant book together with an original photogravure etching of Morning Glory, please visit 'Venues'. Contact | 連絡: Please type into your email (日本語 OK).